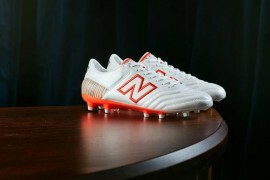 The concept of a lighter football boot has always been something that appeals to players since the game started. 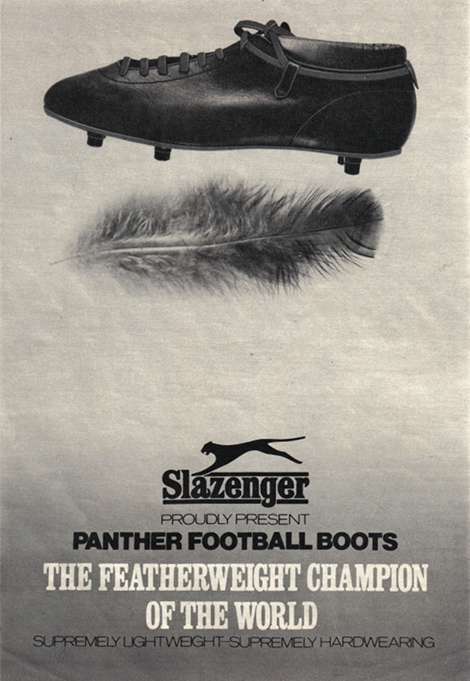 If only Slazenger knew what was coming when they made this ad! Ads from the 50’s and 60’s all herald the benefits of having lighter football boots to make a player quicker and more nimble on their feet, but it wasn’t really something that was taken as a huge factor for players. As brands like Patrick, Hummel, adidas and Puma dominated the football equipment in this period, endorsed players were always boasting more about the comfort, fit and feel for the ball than the weight, which seemed to be more of a secondary concern. But it was during the 1998 World Cup that Nike really started to hammer home the idea that lighter football boots made players faster and more skillful on the pitch. Back then, Nike’s line of speed boots was known as the Nike Air Mercurials, were placed on the feet of Brazilian superstar Ronaldo, in a (then) outlandish colourway of Silver/Blue/Yellow. These football boots sparked a huge surge in interest for Nike boots, with the Air Mercurials becoming the talk of every football boot fan in the country. Nike were happy to leave the Air Murcurial line for 4 years (unheard of now, when brands can’t seem to go 12 months without updating a boot!) Until the World Cup in 2002. 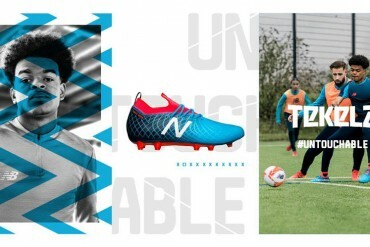 Launching the revamped Mercurial Vapor line of football boots, Nike once again set a new standard in lightweight boots, by removing the more traditional-looking upper of the Air Mercurials and replacing it with a completely revamped synthetic ‘NikeSkin’ one. NikeSkin was the hallmark of the Mercurial Vapor line, breaking the mould from other boots which had only favoured traditional leather uppers. 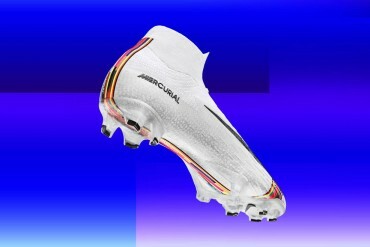 Nike renewed the Mercurial Vapor once every two years up until the next World Cup with little to no competition from other brands, adidas successfully launched the F50 in this time, but they were seen as modern and futuristic football boots, focused more on intuitive design than weight reduction. In time for the 2006 World Cup, Nike had all of their key players in the newly released Mercurial Vapor III, which was the first football boot to drop below the 200g mark, tipping the scales at 196g per boot. Thanks to the use of the Teijin synthetic microfibre leather, Nike had gone a full 8 years (encompassing 3 World Cups) developing the World’s lightest football boots with little in the way of challenge. 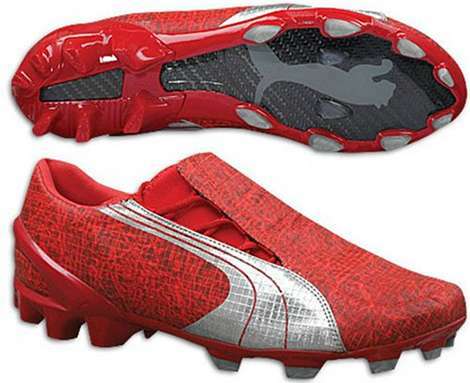 However, during the World Cup, Puma entered the fray with the Puma v1.06 – using a microfibre canvas and a Carbon Fibre sole, the v1.06 was able to contest Nike in the speed football boots category and finally give the American brand some competition. The next 18 months saw the whole speed market being blown wide open, as December 2007′ & January 2008 release of the all carbon-fibre Mercurial Vapor SL – released at 190g, the Mercurial Vapor SL with a ‘standard’ Teijin upper at 210g and the the new Mercurial Vapor IV at 230g. Puma also wanted in on the action, releasing the Puma v1.08, again featuring a Micro-Fibre upper, but this time with split two-piece Carbon FIbre outsole, which dropped it’s weight down to 215g. The battle between Nike and Puma remained at something of an uneasy deadlock through 2008, due to Nike’s lightest boot being priced out of most people’s range, and Puma not having the marketing power of Nike to sell more v1.08‘s. 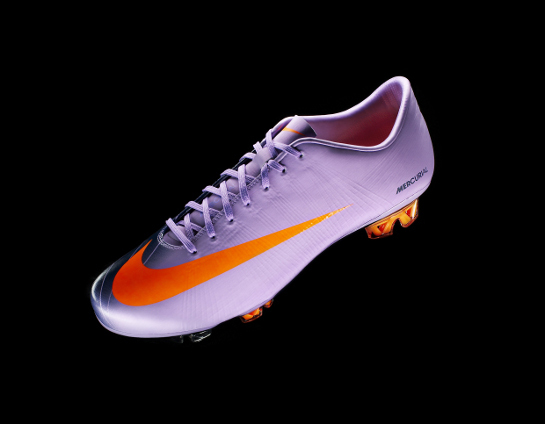 That was up until the end of January’ 2009, when Nike announced the Mercurial Vapor Superfly. 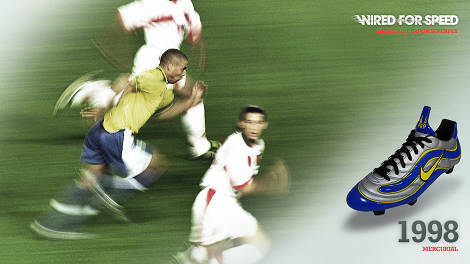 Based around the Flywire technology of Nike’s running shoes at the 2008 Beijing Olympic games, the Flywire in the Nike Mercurial Vapor Superfly was designed to act like the cables in a suspension bridge and work in tandem with the lacing system to pull the whole boot to the bottom of the players foot. Nike founder Bill Bowerman believed the ultimate running shoe would be to put nails through athletes feet (nice! ), and with Flywire technology, Nike’s engineers believed this was the closest they have come yet to achieving Bowerman’s vision, by pulling the ‘plate’ extremely close to the foot. Coupled with a Carbon Fibre soleplate and hollowed-out injection moulded studs, this put the Superfly as the lightest boot in the world at 185g, and was given it’s debut by Cristiano Ronaldo and Zlatan Ibrahimovic in the UEFA Champions League. 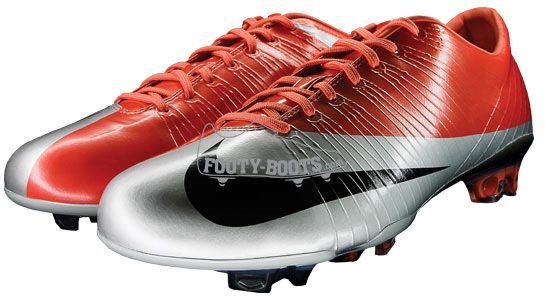 The Mercurial Vapor Superfly‘s reign at the top was, however, both short and controversial. Drogba’s ripped Superfly I – caused by a nasty stud to the ankle. 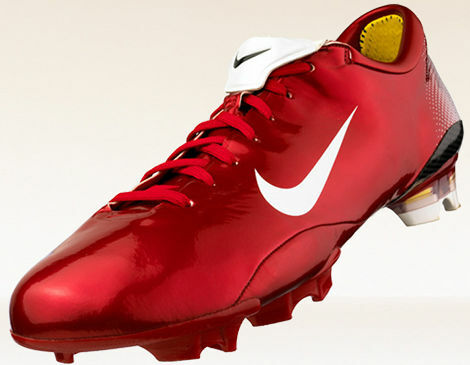 The boot was scheduled for an early summertime release after it’s debut in March 2009, but after Footy-Boots.com highlighted 3 separate incidents in which the Superfly had ripped during a game, Nike were forced to recall the boot and make some changes to the integrity of the upper, forcing the public release of the boot into August 2009. 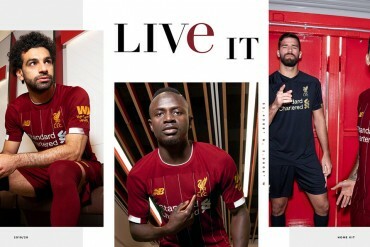 Just as Nike were recalling the Superfly at the end of March, Puma came straight from left field with a lightweight boot of their own – the Puma v1.815 Ferrari. Out of nowhere, Puma had pulled the rug from under Nike (and just about everyone else!) with a boot that would tip the scales at 165g. The use of the micro-canvas upper from the v1.06 & v1.08 gave the Puma v1.815 Ferrari an edge over it’s competitors, as it’s upper was noticeably lighter than the Teijin synthetics of it’s Nike competitors. After this release, however, things went a bit quiet! adidas released the adidas F50i to much acclaim, but it was nowhere near spry enough to compete with the sub-200g Nike & Puma lightweights. 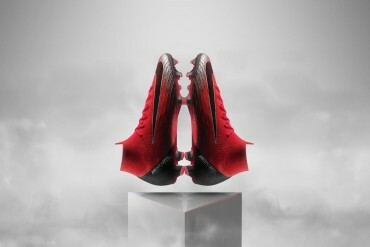 Even Nike seemed to be focusing more on other aspects of the speed game. The launch of the Mercurial Vapor Superfly II revealed that this incarnation of the Superfly was actually heavier than the Superfly I! Nike instead putting all their innovational energy into two NikeSENSE adaptable studs in the pursuit of making players faster. 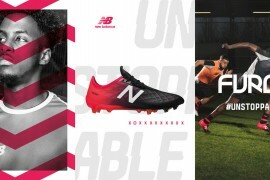 Even Puma’s latest – the v1.10 – despite boasting an impressive carbon fibre sole plate and a new synthetic Leather microfibre – couldn’t match their previous effort creating the world’s lightest football boots. 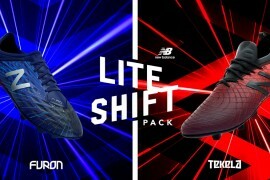 So, it was adidas who finally broke Puma’s unsteady grip on the title of ‘Lightest Football Boots in the World’ with the launch of the adidas F50 adiZero, just in time for the World Cup. Tying the Puma v1.815 Ferrari at 165g, the adidas F50 adiZero was crowned as the lightest football boots in the world as it was a full production boot, that was available to the public to buy on general release – whereas the Puma Ferrari was strictly limited to 815 pairs, making them a special edition. 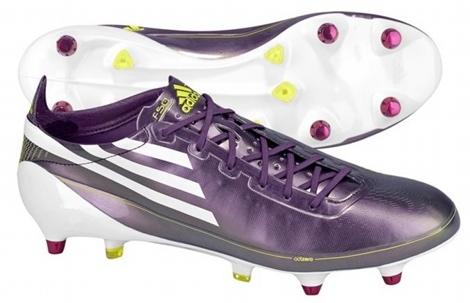 Following it’s launch in April 2010, the adidas F50 adiZero had a spectacular World Cup. Being taken up by all three of the joint top scorers in the tournament; David Villa, Diego Forlan and Tomas Muller it went on to be the top scoring boot of the competition by a country mile. It also narrowly beat more established boots like the Nike T90 Laser III and stablemate the Predator_X to the title of ‘most worn boot’ at the games. But even then, after over a year of having one single boot reigning supreme, the adiZero only held the title for a mere 3 months. 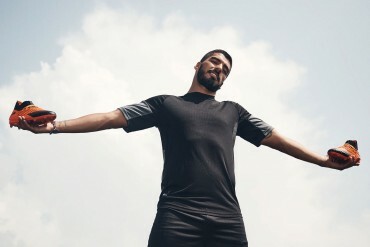 As on Monday July 12th – the day after the World Cup Final – Puma hit back with the Puma v1.10 SL which beat the adiZero again by 15g, giving the v1.10 SL an astonishing overall weight of 150g per boot. The Puma v1.10 SL was revealed to be hugely impressive – as not only was it lighter than the adidas F50 adiZero, but it also did so while retaining a portion of ultra-strong Carbon Fibre in the sole. It’s unlikely that adidas are likely to take this slick move from their oldest rivals lying down, and whispers have already begun to spread about a new adidas F50 adiZero Prime, which would steal the crown back to the three stripes. 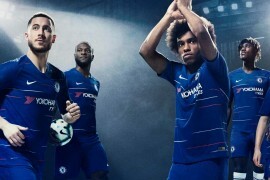 We’re also keen to see what Nike come up with next – after losing a couple of players to the adidas F50 adiZero, we’re intrigued to see what the brand who started the ‘speed war’ as we know it will do for their next step. It’s kind of funny now, looking back at the weights of some football boots, as even heritage boots like the Mizuno Morelia Ultra Light can now boast that they weigh as much as the Mercurial Vapor SL‘s used to! I am astonished that this article has omitted the Nike Match Mercurial from their list as this was the bridge between the Air Mercurial and the first Vapor. 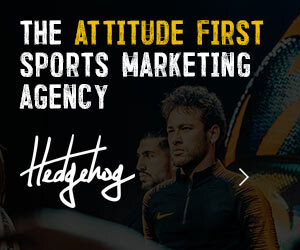 To be fair Nike made the same mistake when writing an article on the 10th aniversary of the Mercurial line. for some reason i would seriously like to try out those slazengers in the first pic…..
To me this article just goes to show how important Ronaldo was (the Brazilian) and how he shaped a whole generation of football boots. He had a massive part to play in the Nike Vapor series. R9 was the originator. Footy-Boots do you know if he was the first player to have a signature boot line (R9)? Alas no, many players had their own boots, Patrick Keegans for example. All in the quest for perfection. No body has found it yet and likely no one will for a long time. Few have come up with great shoes that almost anybody can say they’ve had or wanted a pair of, (like the F50 Adizero, or the Mercurial Vapor III) and somethings have been sacrificed, like comfort, or protection, i.e. the v1.06 hurt like a bat outta heck when you got stepped on, but all in all we’ve seen some great cleats. 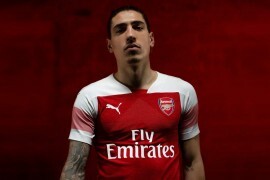 I think I can safely say that though Puma is the current champion, I think that Adidas have really dominated the market as of recent and Nike have taken then themselves out of the competition with poor choices and poor understanding of consumer demand. 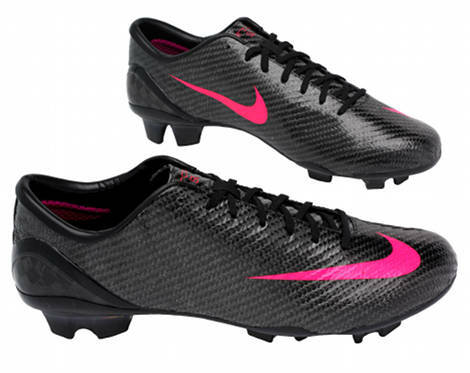 since the mercurial vapor 3 i think the nike series has gone downhill. they were almost perfect. for those who were too young to wear them you have no idea how much better they were than the 4,5, and 6, possibly even the superfly. adidas have created a great shoe in the adizero, lets hope they don’t do what nike have done and tinker with it too much, bringing out a new one every year claiming it’s their best one yet. 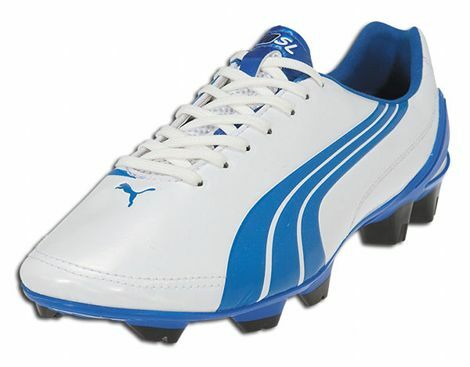 i can’t say much about puma as i haven’t tried any of late. the problem with the shoes getting lighter in future is that soon there will be no protection whatsoever! how does the industry define lightweight boots? less than a certain weight? Surely the vapor I was the first boot to weigh less than 200 grams, I’m pretty certain that they weighed less than the vapor IIIs did. Kurve I was also disappointed that they forgot the Match Mercurial, it seems that this boot has been largely forgotten as Ronaldo was injured for pretty much the entire lifespan of the boot. I Play Center Mid, Wearing Concaves And I Would Love Concave To Keep The Design Similar Too What They Have Now But Some How Making There Boot Lighter… Easily The Best Pair Of Boots Ive Ever Wore, Nike Vapors Dont Provide Enough Protection Neither Do F50’s! f50 prime is the lightest.